Are you moving to another state and don’t want to put miles in your car neither driving it across the country? 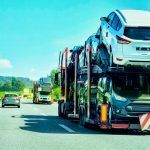 Have you consider a reliable car transport company and cannot decide between their open and enclosed car carrier services? All States Car Transport provide all these services and much more depending on the type of vehicle you want to relocate. There is no doubt that enclosed car transportation is a safer and a much better option for exotic, luxurious, and classic vehicles. Potential damages to your car while on route can happen, that is why an enclosed car transportation service is the best option. For example, outside elements such as dust, debris, and bad weather conditions can damage the pristine paint job of your vehicle. Also, unexpected accidents could happen on the road, and prevention is a key element to preserve the value of these type of vehicles. If your new destination is within thousands of miles away, with the help of our car transport services your vehicle will arrive safely without scratches and dents to its final destination. The two sub-types of enclosed transport services are hard-sided, and soft-sided trailers. 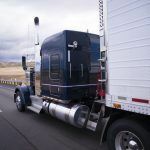 Hard-sided trailers are commonly seen on the highway as they are slightly larger to accommodate two levels of vehicles. On the other hand, soft-sided are technically enclosed but include heavy tarps to separate the internal storage from other vehicles. These tarps can be pulled back and forth during loading and unloading. 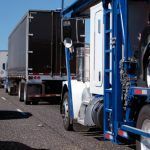 Even though soft-sided enclosed trailers protect the vehicles from road debris, the cars might still arrive a little dirty if the trailer goes through very dusty areas. All States Car Transport recommends the soft-sided enclosed method for newer vehicles and the hard sided for luxurious, classic, and exotics vehicles. 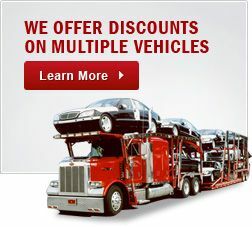 This method helps individuals within a budget that want to ship their car safely with other vehicles at the same time. These car trailers hold up to 12 vehicles distributed between a top and a bottom rack. However, the downside is that it takes more time for delivery as of them has a different destination.